For those still seeking an outdoorsy excursion (and perhaps a hot toddy), the Oregon Coast has become a winter mecca for storm watchers. As winter rolls into Portland, most flock to Mount Hood for skiing, snowboarding and cozy lodges. But what if you're more into wind and rain than freezing temps and snow? For those still seeking an outdoorsy excursion (and perhaps a hot toddy), the Oregon Coast has become a winter mecca for storm watchers. There are plenty of opportunities for hiking to some great viewpoints to take it all in. Of course, it's always a good idea to check weather conditions before heading out—even if you consider yourself a thrill-seeker, hiking alongside jagged coastal cliffs isn't such a great idea in 90 mph winds. Here are five of the best spots along Oregon's coast to hike and soak up those moody winter storms. Once a stronghold at the mouth of the Columbia River, Fort Stevens saw 84 years of service as a military defense installation, from the Civil War up through World War II. The site has since blossomed into a 4,300-acre park with a military museum, a historic fort, biking and hiking trails, and wetlands. Come winter, daredevils climb the South Jetty Observation Deck for the ultimate in-your-face storm-watching experience. There are 6 miles of hiking trails in the park that will take you through spruce and hemlock forests, and if it's not too crazy out there, you can hike along the beach to see the skeletal remains of a shipwreck. Once you've had enough of the cold, head over to Bridgewater Bistro (20 Basin St., Astoria) for marionberry hot toddies. Directions: Take US 26 west to US 101 north. Drive 13.7 miles and turn left on OR-104 toward Fort Stevens/Warrenton/Hammond. After 1.4 miles, turn left onto Delaura Beach Lane. before merging right with Ridge Road. Keep straight for 3.5 miles and then turn left toward Fort Stevens Park, where you'll bear right. Day-use fee is $5. Just north of Cannon Beach, Ecola State Park is where you go to watch Pacific storms wreak havoc on Tillamook Rock Light—otherwise known to Oregonians as "Terrible Tilly," the doomed lighthouse set on a rock in the middle of the ocean. While there are 8 miles worth of trails in the park, you can opt to do the 2.5-mile Clatstop Loop Trail, a historical trek that partly follows the footsteps of Captain William Clark, who traveled through in 1806. Starting at the Indian Beach Trailhead, the trail gently ascends through a forest of Sitka spruce until you reach Hikers Camp and the WWII bunkers. From there you'll come to a viewpoint where you can watch the waves batter the lighthouse. Then you can either head back down or continue hiking toward Tillamook Head Trailhead for a 10-mile out-and-back. Afterward, hit up Wayfarer Restaurant & Lounge (1190 Pacific Drive, Cannon Beach) for winter cocktails, razor clams and a sweet view of Haystack Rock. Directions: Take US 26 west to US 101 south, where you'll turn off at the first Cannon Beach exit. Follow signs for Ecola State Park and turn right into the park entrance. After the tollbooth, you'll make a right and drive another mile to Indian Beach. Day-use fee is $5. 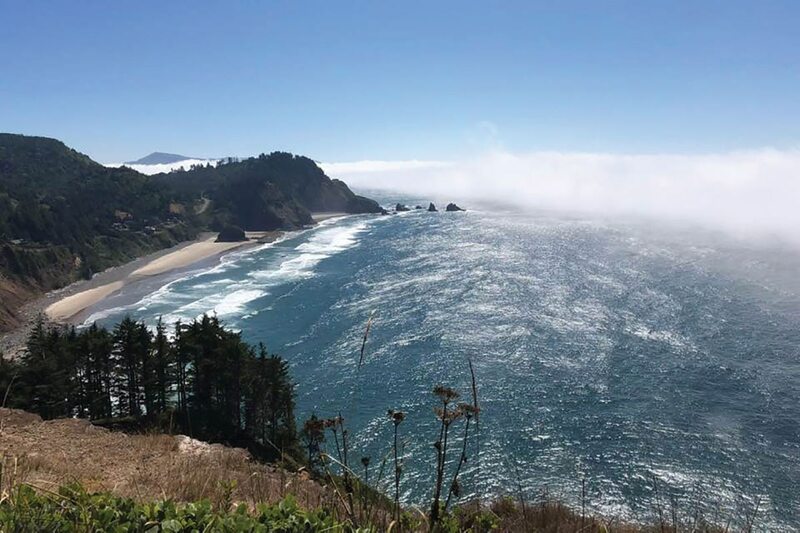 Between Neahkahnie Mountain and Cape Falcon, you have the option of hiking to one of two prominent viewpoints. Neahkahnie tends to get most of the attention, but Cape Falcon takes you through an old-growth forest of Sitka spruce and western red cedar. You'll come to a junction at the half-mile mark where you'll turn right—this section gets swampy due to all the skunk cabbage that grows here. The trail will weave you along a forested ridge with some viewpoints of the ocean. Finally, you reach a narrow pathway that cuts through a dense thicket of salal. The path here leads you to Cape Falcon, where you'll get fantastic views of the churning Pacific along with Neahkahnie Mountain and Smugglers Cove. Once you've had your share of weather, warm up with some whiskey at MacGregor's (387 Laneda Ave., Manzanita). Directions: Take US 26 west to US 101 south. After about 13 miles, you'll see a sign for Oswald West State Park. Turn into the first parking lot on the right for the Cape Falcon Trailhead. Bringing a lighthouse into the picture makes storm watching more dramatic, and the one at Cape Meares definitely sets the mood—at 38 feet high, it also happens to be Oregon's shortest lighthouse. Set on a headland 200 feet above the ocean, this 240-acre park has plenty of overlooks for prime storm viewing, in addition to over 3 miles of hiking trails. Before turning into the park entrance, park in the upper lot and take a quarter-mile hike to see Oregon's largest Sitka spruce, which is said to be up to 800 years old. Then drive down to the main parking area, where you'll find a short trail to the lighthouse as well as another forested trail that takes you to the monumental oddity that is the Octopus Tree, which has several trunks growing from its base. There's also another lookout right off the trail here. If you're pining for a longer hike, there's another short out-and-back trail right by the Octopus Tree that takes you along an old-growth forest. If for some reason the road going to Cape Meares is closed, you can opt to storm watch at Oceanside, a recreation site to the south that has some viewpoints and roadside pullovers. On your way out, shake off the cold with cocktails and steamers at the Schooner Restaurant & Lounge (2065 Netarts Basin Boat Road, Tillamook). Directions: Take US 26 west to OR-6 west. Continue for about 50 miles and turn right onto OR-131 west. Follow for about 9 miles before turning right onto Cape Meares Loop (look for signs along the way). The park entrance will be on your left once you get up the hill. Maintained by the Nature Conservancy, Cascade Head Preserve has a lower trailhead, which is open year-round, and an upper trailhead, which is only open from July to December to protect the endangered silver-spotted skipper butterfly. While the upper trailhead is an easy 1-mile hike to the upper viewpoint, the lower trail is a more challenging 4.2-mile hike that takes you to a headland 1,200 feet above the ocean. From the lower trailhead at Knight Park, you'll walk along the road and follow signs that eventually take you to a trail through an old-growth coastal forest dominated by Douglas fir and Sitka spruce. From here, you'll climb a steep set of stairs that are unforgiving for the shorter-legged. You'll then continue along a more level trail, crossing a few footbridges until you finally reach a clearing at the headland meadow with sweeping views of the ocean, the Salmon River Estuary and Lincoln City's Devil's Lake. From there, you'll walk along some jagged cliffs, then continue another half-mile along several steep switchbacks of exposed trail before reaching the upper viewpoint, a dizzying yet epic lookout. Afterward, head to Kyllo's Seafood & Grill (1110 NW 1st Court, Lincoln City) for local grub and handcrafted cocktails. Directions: From I-5 south, take Exit 294, and follow OR-99W and OR-18 to US 101 north. Drive about a mile before taking a left at North 3 Rocks Road in Otis. Drive 2 miles to the lower trailhead at Knights Park. Yes, it Is Possible to Bike Through Snow. Here's How. Michelle hails from New Jersey. 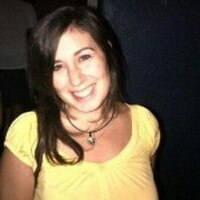 A writer of travel, food, and culture, she has also contributed to Eater Portland and Northwest Travel & Life Magazine. Before moving westward, she spent her days gallivanting through distant lands. She has yet to find a bagel here which rivals that of her home state.